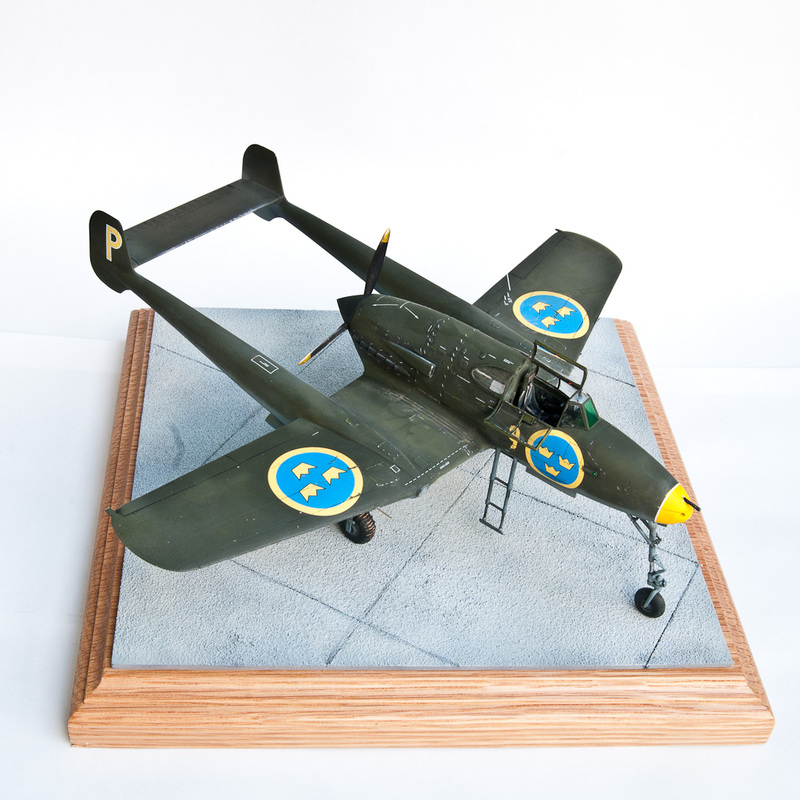 Pilot Replicas is a fairly new manufacturer who has specialized in Swedish aircraft and related items in mainly 1/48. 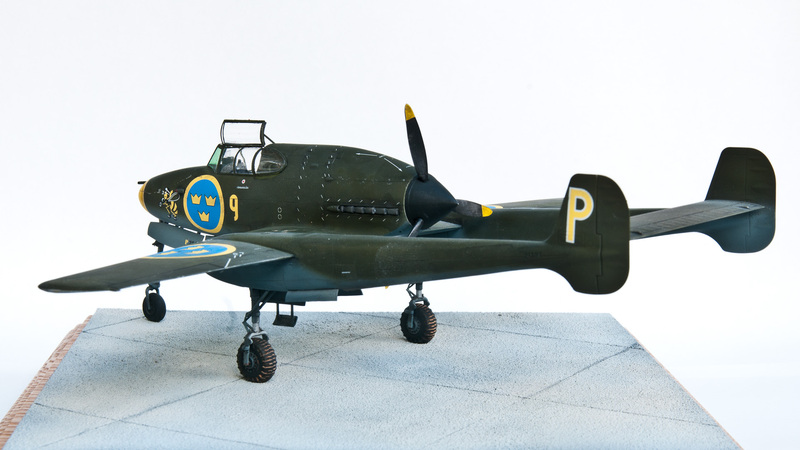 They appeared a few years back with the promise of not only one, but several kits of the Sk 60/SAAB 105 in 1/48. Unfortunately something happened that put that project on hold. However they have since then produced resin pilots, a SwAF tow truck in resin and resin accessories for the new Tarangus Viggen kit. 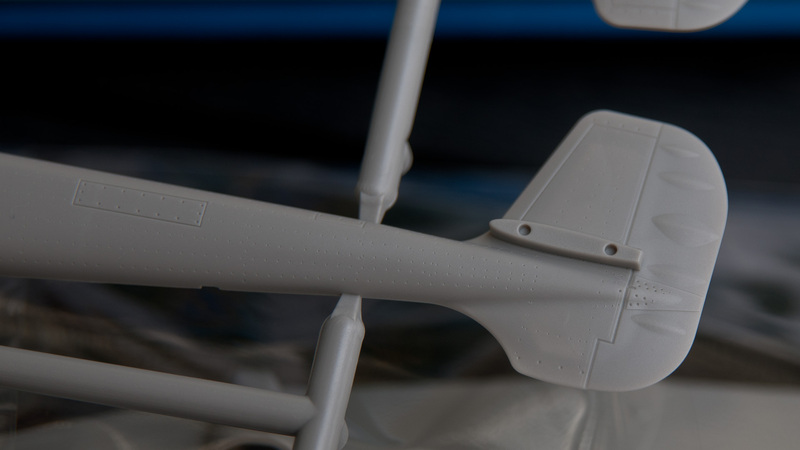 The J 21A3 is their first injection molded kit. It is also the first injection molded kit of the J 21 in 1/48 as far as I know. The kit comes in a sturdy cardboard box that has a built in lid. 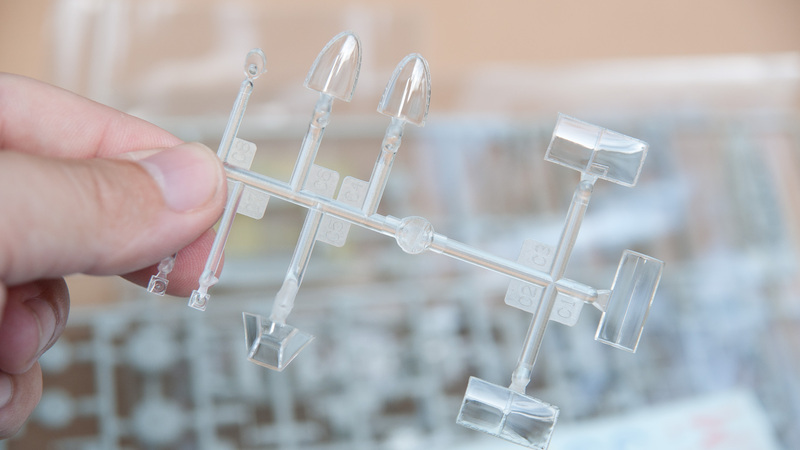 The parts come on individually packaged grey sprues, with a small tree of clear parts inside a ziploc bag. The instructions comes in two different folders, one for the building instructions and one for marking and painting. The latter in full colour. Both are laminated or UV-coated and feel very luxurious. The kit itself looks very nice on the sprues. Fine engraved details all around. 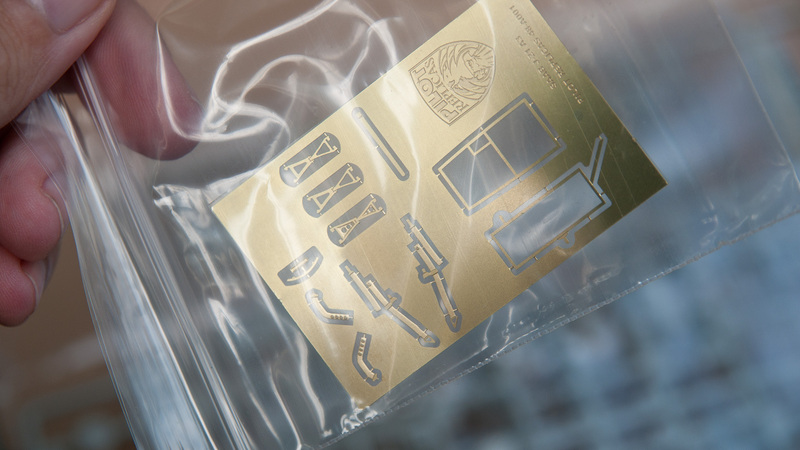 It is fairly detailed and can be built out of the box and still be a detailed and nice replica. But there are still room for improvement for the builder who want to put something extra in. The interior of the wheel well is quite bare for example, and the exhausts could probably be improved with a drilled out resin set. There is some sort of shaping of the elevator and rudders that looks odd. It tries to replicate the fabric covered rudders of the real thing, but just look a bit weird to me. A more ambitious builder would probably sand the shape down a bit and reshape the rudders with putty and some sculpting. I am not that ambitious builder so I just left it as it is. Truth to be told, it looks better, and not so pronounced with paint on. The interior is OK, with detailed side walls and a nice looking dashboard. The dials could use some instrument decals, that are sadly not included in the kit.I did some surgery on the gun sight, replacing the molded, non-transparent sight glass with a piece of transparent plastic. Another thing that the advanced modeller could add is the heavy armoured glass that sits in a frame behind the front glass. PE-belts for the ejection seat are included, which is nice. 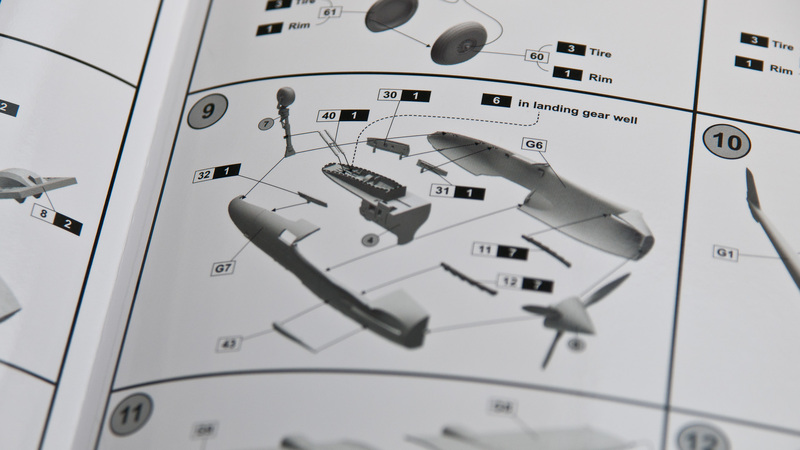 PE is also included for the inside framing of the parts of the canopy that is supposed to be posed open. When posing the canopy open the fit is good. The front part fits perfectly, the other parts fit ok. 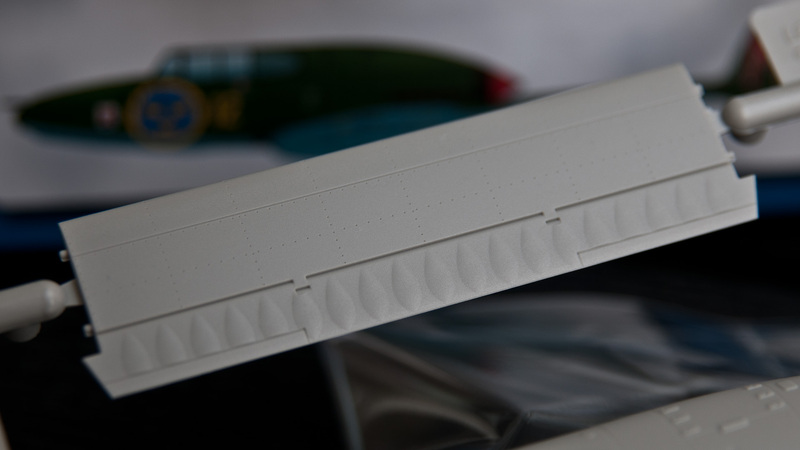 The main canopy parts are a little on the thick side, which makes the canopy part that folds down sit a bit too much out from the fuselage. I sanded the side of the canopy slightly to improve this somewhat. A fellow builder tells me that closing up the canopy require some more work to get it all together nicely. The PE framing, just lets say, don´t rush this part. It is easily the worst part of my model if I may say so. but I can´t blame Pilot Replicas for this. Just my own lack of patience and hamfistedness. You also get a PE rear view mirror (not added to my model at the time of photographing). The landing gears can be a bit tricky. I tried to leave mine off not to risk knocking them off during construction, and to simplify painting. But in hindsight I should just have glued them on when the instructions say so, so that they are glued firmly in place. I managed to knock them off anyway, and they are a pain to put in afterwards. They should be painted the same grey as the under side of the aircraft, so leaving them off is quite unnecessary really. The wheels are weighted and the main wheels have the characteristic heavy thread pattern of the J 21. There is the option of plastic or PE scissors links. I went for the plastic versions. The kit provides sturdy mounting lugs to get the booms sit straight, so it was not much of a problem getting a fairly good line up. I eyeballed it, and well, it´s good enough for me. There are some prominent looking seams, especially where the booms meet the upper wing. But nothing too difficult to fix (unless you’re as bad as me when it comes to filling and sanding). The model will require a substantial bit of lead in the nose to stand on its nose wheel. I recommend that you leave the gun camera window off until very late in the build so that you can stuff some more weight into the nose if needed. I did. When putting the fuselage halves together, take good care with the cockpit sides. They might need a touch of sanding for the fuselage halves to mate without the need for some mild violence. 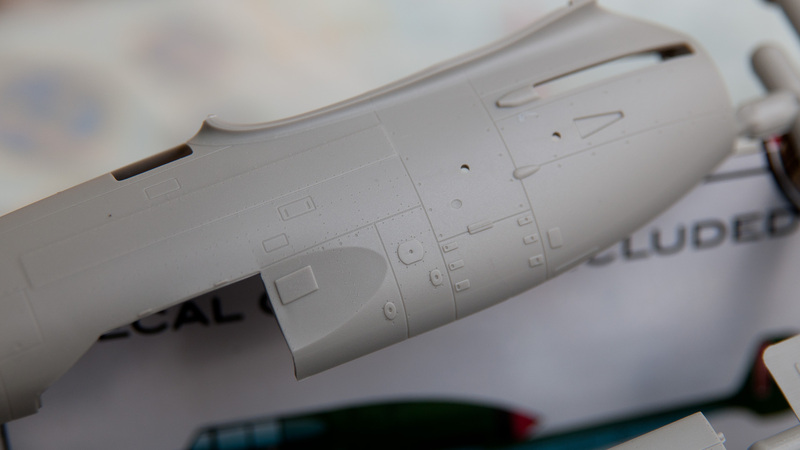 Don’t forget to add the exhausts before mating the two fuselage halves.. it is harder to get them in place afterwards. As I said earlier, the exhaust ports are not hollow. So the serious builder will drill them out, find after market DB 605 exhausts or wait for Pilot Replicas to release their own exhausts (I have no idea if they will do so, but I would not be surprised. After all, they are releasing an entire engine as an after market item!) While the drill is out, the large air intake on the side of the engine cowling also need to be drilled out. This is a quite visible part, so even I felt compelled to do this. I also drilled out the business end of the 20mm gun barrel. A really handy builder would give the wing mounted guns the same treatment or re-do them completely. I toyed with the idea of replacing them entirely with two pieces of tubing (on the real deal the gun protrudes only slightly from the wing and is surrounded by a metal ring). However, I let things be as they were. Three choices of markings are included. All are green with grey underside. 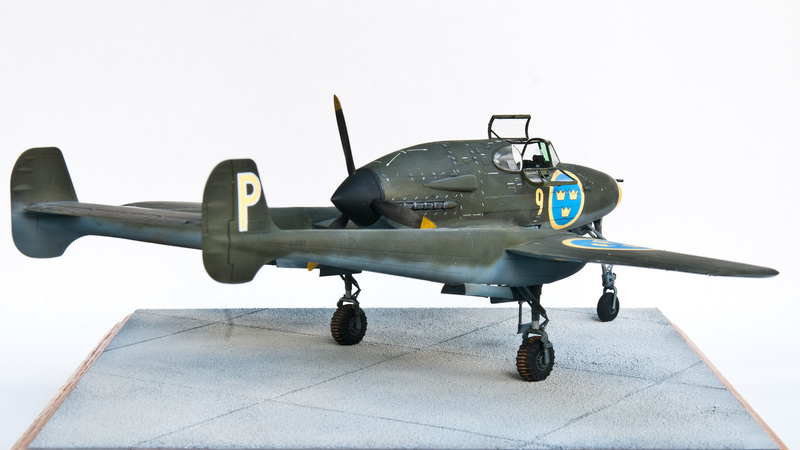 The choices are: “Blue Caesar” from F15 wing in Söderhamn between 1950 and 1952, “Red Martin” from F12 wing at Kalmar, also from 50- to 52 and “Yellow Petter” from F9 at Säve, Gothenburg between 48 and 51. 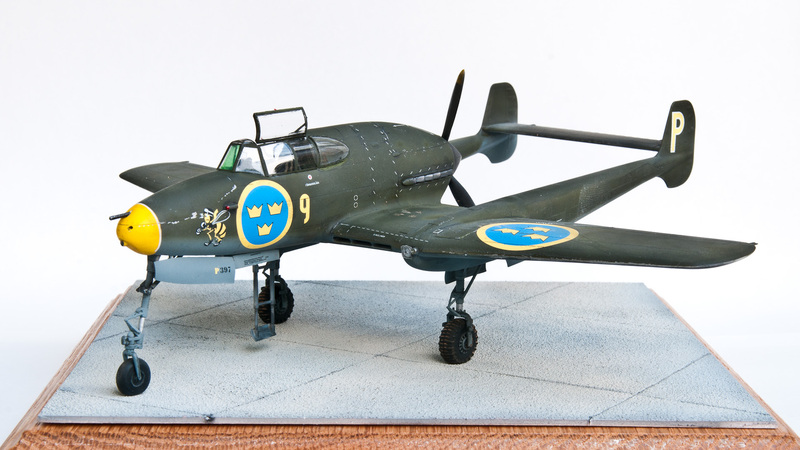 Since I live close to Gothenburg I built mine as the yellow-nosed F9 aricraft. The birds from the 3rd sqn (yellow sqn) all had hornets painted on the left side of the nose, which also made this choice a bit more interesting. The decals are designed by Robert Bergvall of RBD Decals and are printed by Cartograf. When the flat coat went on, the decals looked painted on. No trace of silvering or decal film. The only trouble I had was that the fine white line around the yellow nose did not go all the way around. This, I found out later, was because I made the yellow nose to large. The drawing tells me the coloured nose extends to the nose gear bay, but in reality it is slightly smaller. 5.2 mm from the tip to be more precise. The only other addition to the model apart from the gun sight was the replacement of the plastic pitot with a 0.5 mm tube from albion alloys. This was way easier than trying to make the injection molded tube look nice, well, so I guess, because I let it stay on the sprue. Let´s say previous experience from similar parts guided my decision. My J 21 was painted using the recommended Tamiya hues. I used a white alclad primer underneath. 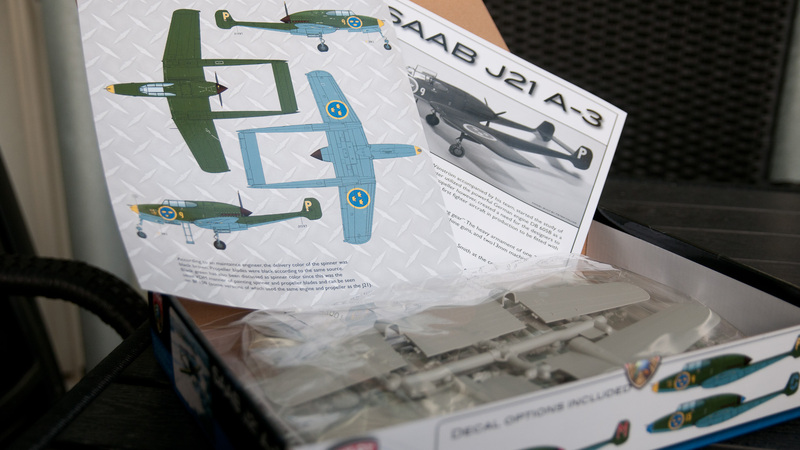 The conclusion: This is a really nice little kit that I truly enjoyed building, not only because it is a Swedish aircraft, not only because my grandfather was involved with it, not only because I got to play with a small J 21 model made out of the actual aluminium used for the real aircraft when I was a kid, but because the kit, despite the things I mentioned above, goes together nicely nearly out of the box. 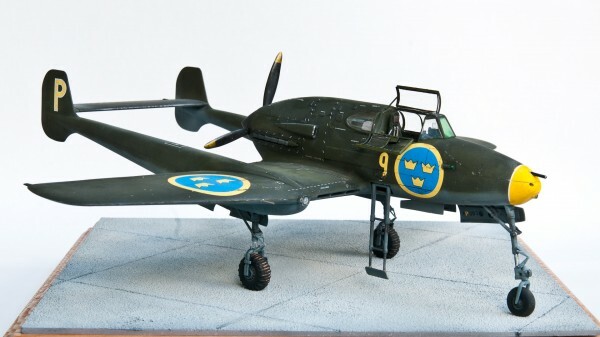 I recommend this kit not only to fans of Swedish aviation, but to anyone who want an odd looking propeller fighter in their collection. 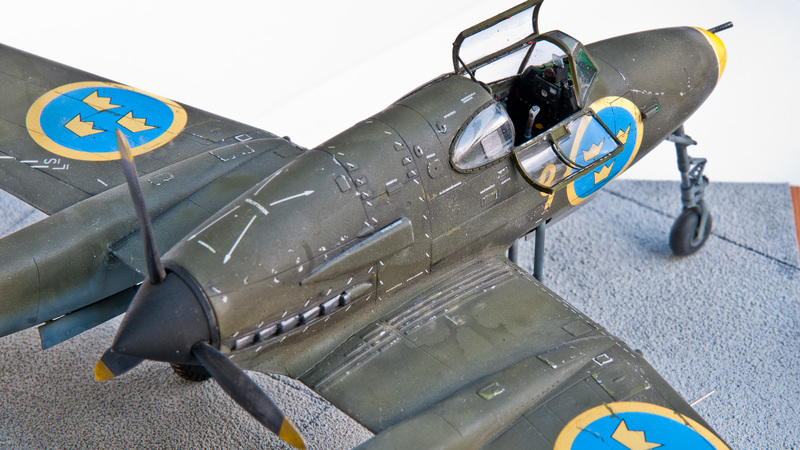 As the first of hopefully many kits from Pilot Replicas this is a good one. Not without flaws as I said, but good. 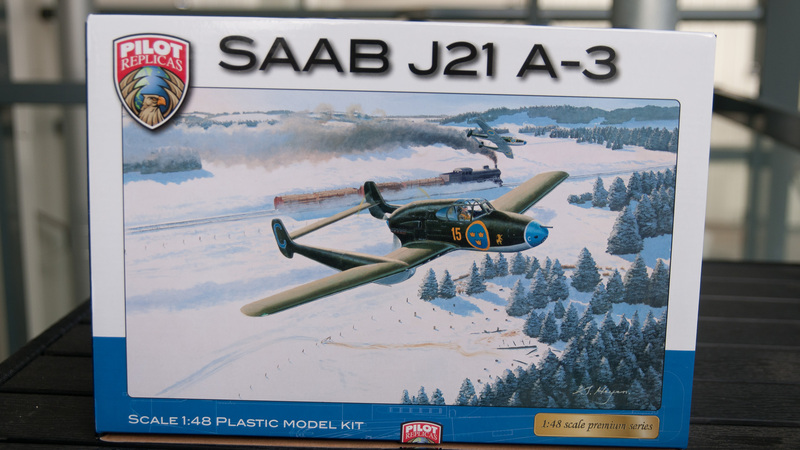 Their next kit is of the J 29 Tunnan, and I will definitively try to get my hands on one copy. 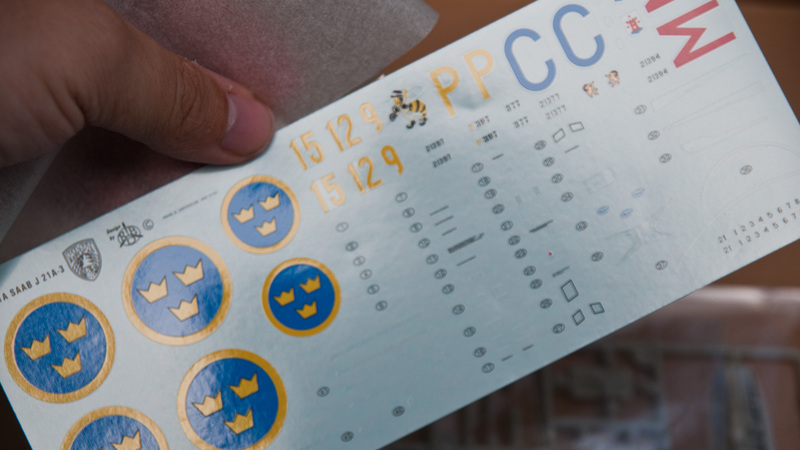 But I bought mine at the SwAF Museum at Malmen, Linköping. 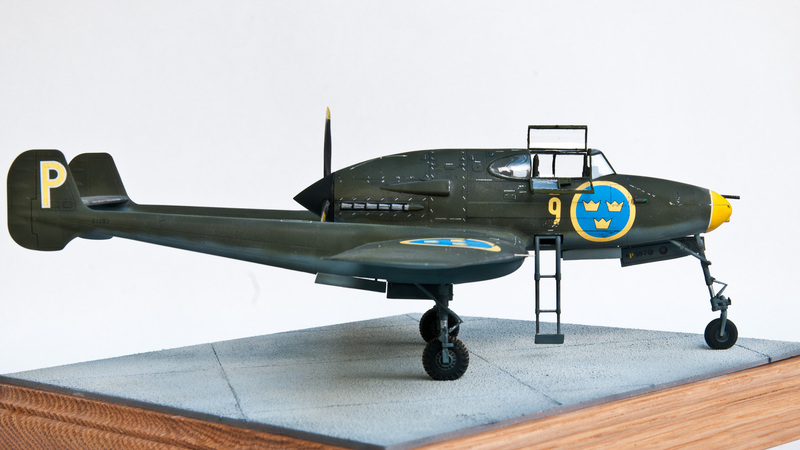 This entry was posted in Finished work, Reviews, Swedish Plastic and tagged 1/48, gallery, j 21, pilot replicas, Review, SAAB. Bookmark the permalink.